National Flex Day, celebrated the third Tuesday of every October, is a chance for those of us who are deeply concerned with work flexibility for all to come together, assess the landscape of flexible and remote work, and take stock of both how far we’ve come and where flexible work needs to go. This year’s National Flex Day featured several exciting campaign components, including the Twitter hashtag #NationalFlexDay, a contest where people can share their flexible work stories and have a chance to win over a dozen prizes (open through October 20, 2017), and a webinar on the State of National Flex with guest experts Brigid Schulte, Ian Reynolds, Sara Sutton, and Andy Cuneo, along with several others. From that webinar discussion, these five points stood out as some of the key messages to understand and share when it comes to the current state of flexible work in the U.S. and where it’s going. 1. Millennials will move the flexible work trend forward. Now the largest generation in the workforce, and old enough to be assuming managerial and senior-level roles, the 1MFWF panel of experts agreed that millennials are poised to push flexible work forward in the coming years. “While flexible work is still often seen as an accommodation, typically for women, or mothers, or caregivers, we’re at this inflection point. With millennials, both men and women are saying they want full, meaningful lives and meaningful careers,” said Brigid Schulte, the director of the Better Life Lab and The Good Life initiative at New America. That’s proven in many different studies and surveys. According to a FlexJobs survey, 84% want more work-life balance, 85% want to telecommute 100 percent of the time, and 54% want to work a flexible or alternative schedule. 2. People are already working flexibly and remotely, even if it’s not official. Thanks to internet-enabled devices, readily available high-speed internet, and workplace cultures that place an emphasis on 24/7 connectedness, many more people are working remotely than we tend to think, said Sara Sutton, CEO and founder of FlexJobs and founder of 1 Million for Work Flexibility and Remote.co. “Remote work isn’t all-or-nothing. The majority of white collar workers are already working remotely, even if it’s 5 or 10% of the time,” said Sutton. Whether it’s checking email before bed, or working through your child’s soccer practice, or finishing a project at home over the weekend, the vast majority of so-called “knowledge workers” are already working remotely. But how can you enable success if you aren’t measuring it? That leads us to the next key takeaway…. 3. Companies need to do a better job tracking flexible work options to optimize these programs. 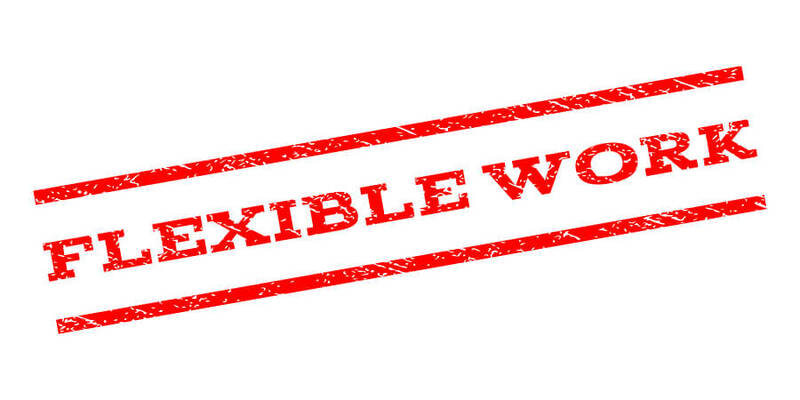 According to a study by WorldAtWork, underwritten by FlexJobs, 80% of companies offer flexible work options, but only a tiny number–3%–monitor the impacts and ROI of those programs. The vast majority of companies are left with assumptions as to how these programs perform, and those assumptions are often wrong. Specifically, tracking metrics and understanding flexible work’s impact on a company can help companies get over the fear that so many have. “The fear is what’s holding people back—the fear that employees are not going to be working if they’re remote,” said Sara Sutton. 4. People’s attitudes towards flexible work change slowly, but they do change. The assumptions many employers hold about flexible work options have to do with fear and a lack of trust that employees who have more control over when, where, and how they work will manipulate the system to do less work. The exact opposite is actually the truth, said Brigid Schulte. “Flexibility tends to lead to longer work hours, and that’s a problem. If you’re working anywhere, anytime, it’s easy for that to slip into anywhere, all the time. Flexibility is wonderful but it can lead to work creep.” And she’s working to help people challenge their assumptions and their biases about flexible work. 5. It shouldn’t matter what a person’s reason is for wanting flexibility. For so long, flexible work options have been an accommodation, often for working mothers with young children. But the future of flexible work needs to be focused on designing flexible work programs that are “reason agnostic,” as Brigid Schulte put it. “We need to make flexibility the default instead of an accommodation and a right instead of a privilege. I’d really urge measurement and collecting statistics to make this case. So many companies say they offer flex and such a miniscule amount track what that actually means,” Schulte said. That said, there is value in employees talking to employers about why they need or want flexibility, to establish the trust and open communication that is so critical for flexible work to thrive, says Debra Isaacs Schafer, the founder and CEO of Education Navigation.